Though I’m based in St. Louis, I cover a large area of the country, and one of my favorite cities in my region is Nashville. Of course, Nashville’s famous for country music and the Grand Ole Opry, but for me it’s also a great business city because of its unique demographics. Nashville skews young. A third of the population is made up of Millennials, and the median age for the city (33.9) is four years younger than the median for the state as a whole. And that means, if I’m going to be successful in Nashville, I’m going to have to be successful with Millennials. We hear lots of scary things about the millennial generation — all manner of stories about how they do things differently than previous generations, and how the old ways don’t work. And there’s definitely some truth to this. They are the first generation to have grown up with the Internet and social media. But I think there’s also a lot of unnecessary hype about marketing to Millennials. After doing a great deal of research, I’ve come to one conclusion — the big secret for marketing to the 35 and under demographic: there is no secret. I know, it’s crazy, right? 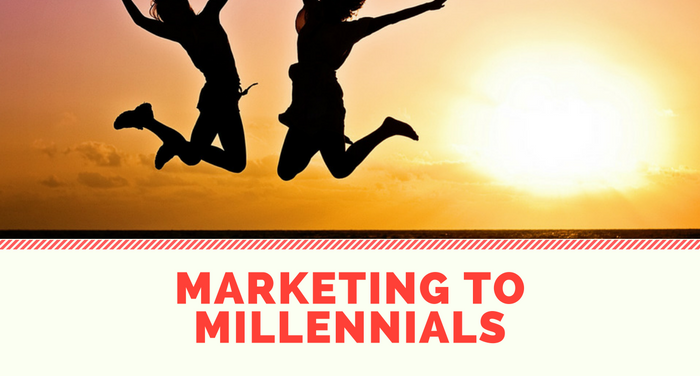 Everyone says that marketing to Millennials is a totally different ballgame than marketing to GenX or Boomers. Except, if you look carefully, that’s not actually what they’re saying. Take this article that interviewed 22 Millennial influencers and asked them both whether businesses should be marketing to Millennials, and if so, how. Every one of them said “yes, you should market to Millennials”, and every one of them said “you need to do it differently, you need to do X”. But the great part about X was that in each case, it wasn’t actually different. Here are some examples. Now stop for a second and really think about those statements. Then stop and think, what would Don Draper do? Do you really think that the ad agencies creating commercials in the 1960s and 70s weren’t trying to make their content interesting? Or connect with the identity of their audience? Or paint a picture of optimism, where life is better with their product? Every one of these great insights is really just “do good marketing” — not do different marketing. Now, that’s not to say that nothing has changed. The big thing that really has changed is the channel. Your traditional cable-access ad isn’t going to cut it. Getting out there on Instagram and SnapChat is critical. But the actual marketing itself? Same as it ever was. So there’s my advice. If you want to market to Millennials, focus on doing good marketing first, and then get it out on the channels that matter to them.